My family loves, loves, loves Asian food. It can be hard to find good Weight Watchers recipes that are Asian inspired and low in points. 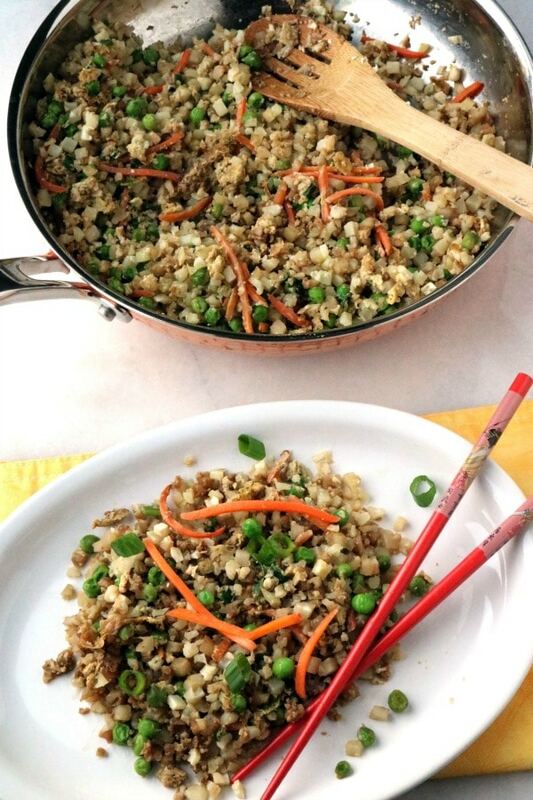 I am always trying to add more veggies to our meals and this Weight Watchers Cauliflower Fried Rice is a double winner. It adds more veggies and is low in Freestyle SmartPoints!! Spray a wok or skillet with non-stick cooking spray. Add in green onions, peas and carrots and saute over medium heat until just tender. Add in the seasonings and egg. Scramble the egg, mixing it into the vegetable mixture. Add in cauliflower rice and continue cooking over medium heat, cooking and stirring rice for about 5 minutes until well incorporated. I like to cook mine longer because I want the riced cauliflower to be pretty soft…but this is my personal preference…cook it how you like it! Add in soy sauce and stir to combine. I have been on a riced cauliflower kick lately…. One of my favorites is Cheesy Riced Cauliflower. It is hard to believe it is so low in points! I have even added riced cauliflower to one of my soup recipes and it turned out great! Did I mention this recipe is ZERO Freestyle SmartPoints? Yippee Skippy! You can always add more veggies or even some chicken to the dish and still be at zero points. This is a great way to get your servings of veggies in for the day. This has four servings and each one is a generous one cup serving. 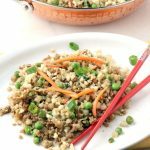 Let me know what you think of riced cauliflower! Are you a lover or hater?? 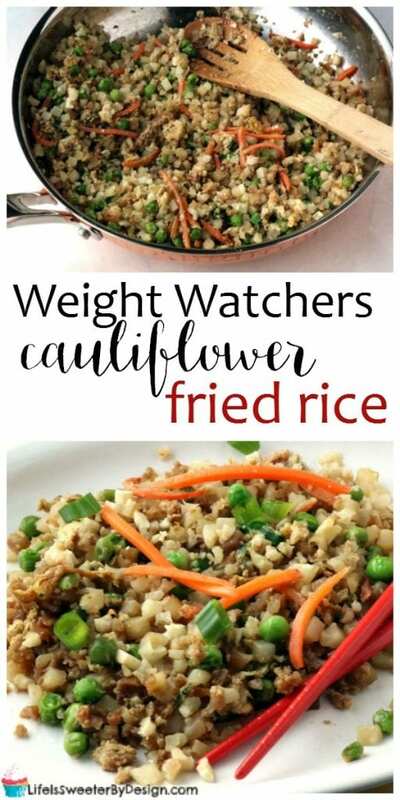 I would love to hear your thoughts about this Weight Watchers Cauliflower Fried Rice! 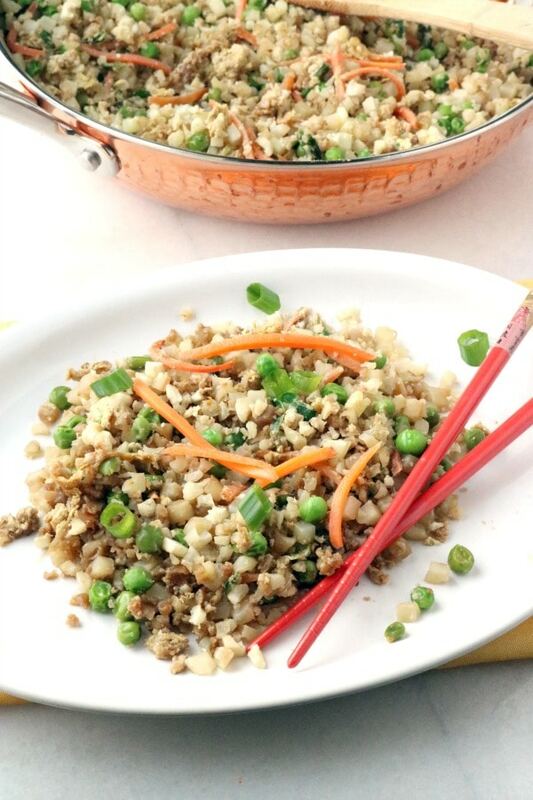 This Weight Watchers Cauliflower Fried Rice is ZERO Freestyle SmartPoints and is delicious! It is an easy side dish recipe. Add in cauliflower rice and continue cooking over medium heat, cooking and stirring rice for about 5 minutes until well incorporated. I like to cook mine longer because I want the riced cauliflower to be pretty soft...but this is my personal preference...cook it how you like it! Serving size is a generous cup of rice and there are 4 servings per recipe. I usually just buy the Green Giant bags of already made frozen cauliflower rice. If you don’t want to do that you can use a food processor to chop it up into tiny pieces like rice. Hi, I know Weight Watchers works with points but it would be very interesting for me to know how many calories//serving ?? ?lovely recipe. .thanks for sharing.